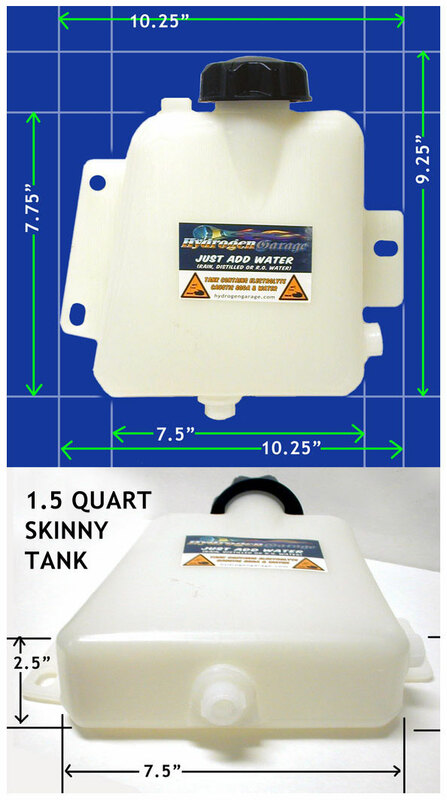 Home :: Hydroxy Dryers :: Hydroxy Air Dryer 5"
"Hydroxy Air Dyer" 5" filter housing, used after your bubbler to your air intake. Used to make your hydroxy gas : dryer ( hydroxy gas has more combustion power when dry) also one more step in protecting your engine from electrolyte vapor. 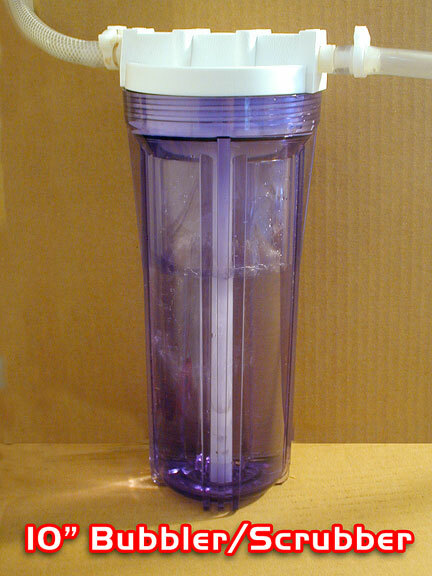 Comes with a "one micron" air filter and heavy duty clear plastic (cool purple tint) housing. 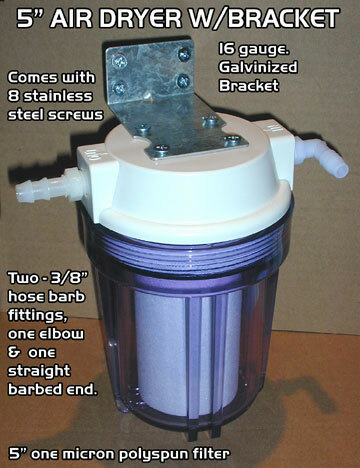 Comes with top SS brackets with SS screws, two 3/8" ID barbed nylon threaded hose fittings, one elbow and one straight, with 1/4" NPT threaded inlet & outlet, in the lid. Total height 7". Width on top white lid is 4.5", bottom dia. is 4". For those wanting extra protection from electrolyte vapor. 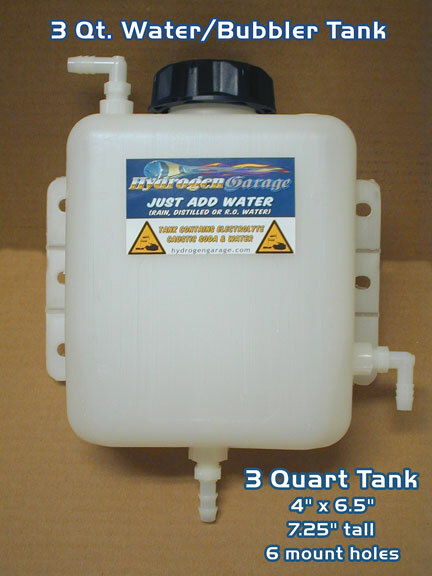 Will also act as a safety anti-spark arrestor. 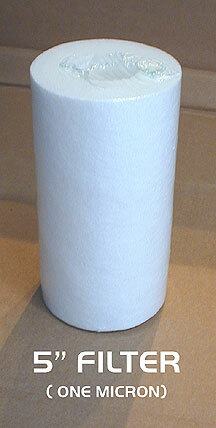 The bottom of the filter will capture the moisture/condensation, and lets your dry hydroxy gas flow quite easily through the filter. Will stop a flashback. 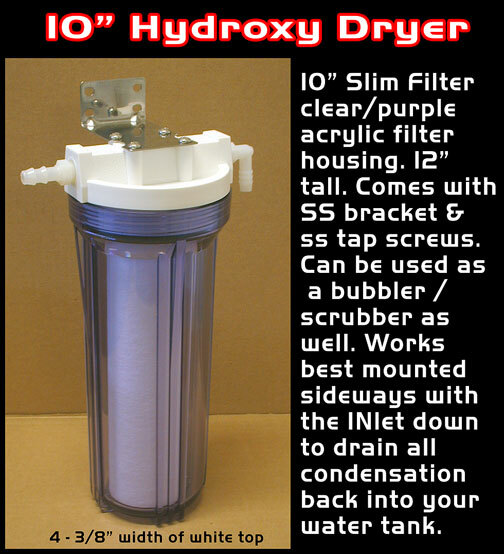 We mount this dryer after the bubbler and before your air filter box.